I look around and a few of my fellow passengers are standing while their seats are fitted with a mattress. Clearly these people are going all the way to OZ and need all the comfort they can get. I politely decline, after all Dubai is just a mere 6 hours away. But there’s more. Now that is what I call service. The new style Business Class international menu designed by chef, author, restaurateur and Rockpool founder Neil Perry provides Business Class passengers with a more tailored experience. If you want a full meal service you can have one. 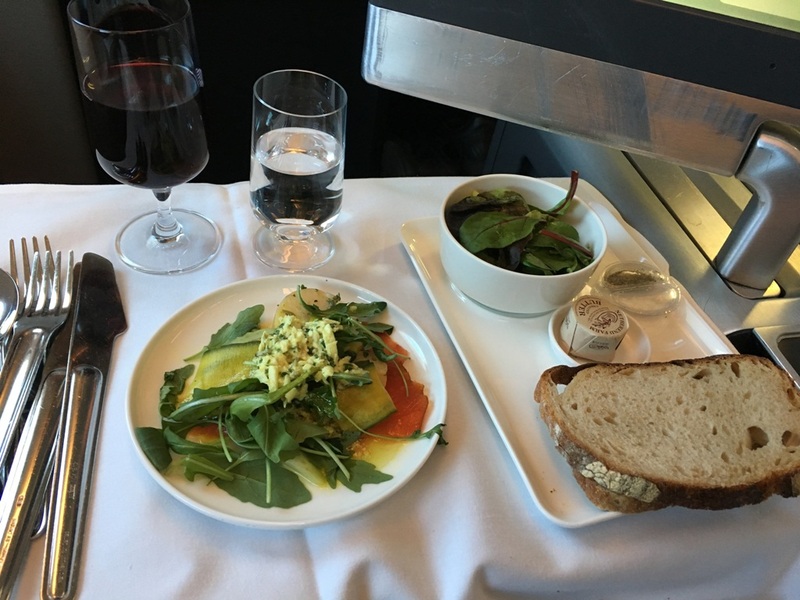 However, if you prefer to have the convenience of a few small plates available throughout the flight it’s an option worth considering if you have other things to do. It seems choice is the priority at Qantas these days. An hour later there’s another big choice to be made. An Adelaide Hills Pinot Noir 2015 or a Barossa Valley Shiraz 2015 over lunch. The small plate of celeriac soup with crème fraîche and chives is excellent, while the smoked salmon salad with mizuna leaves and steamed kipfler potatoes deliciously fresh. Both are made all the more tasty by a slice or two of warm wholemeal sourdough and butter. True to my word, I take a main too. A memorable anise and orange braised beef with polenta and grilled onion. After all that, it’s a simple case of settling down while my seat massages me and watch a movie. London to Dubai has always been a busy route with more than a few choices of carriers. But the Qantas option offers something a little different. Australia’s national carrier has always had an excellent safety record (voted safest airline for three years running) and its Transformation Program has been nothing short of a resounding success. The 787 Dreamliner is the airline industry’s current sweetheart and Qantas has recently joined the party. But until all the new fleet is delivered, the plane I’m in today, the double-decker 380 airbus, is still the airline’s workhorse. 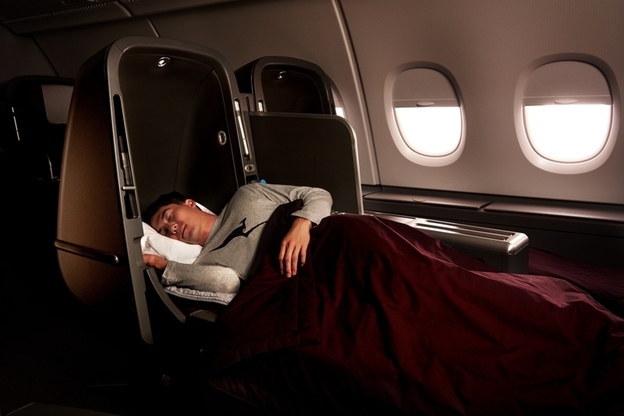 It may be less economical than the Dreamliner, but it has flat beds, plenty of room, a full entertainment programme and those Rockpool menus. Qantas is an airline constantly fighting what it calls its “tyranny of distance” and so by definition, has to offer comfort, service and safety and still remain highly competitive. Qantas business class, in my opinion, is an excellent choice to fly from London to Dubai. Now where’s that other small plate…. Qantas flies twice daily from Heathrow to Dubai with return fares starting at £649 for premium economy. *For travel between 7 February to 21 March 2018. 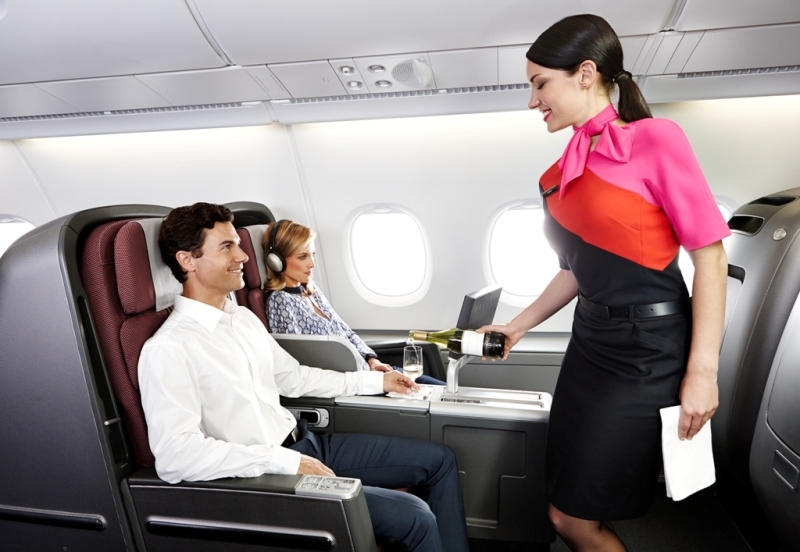 Qantas flies twice daily from Heathrow to Dubai with return fares starting at £2,401 for business class. Book at www..Qantas.com *For travel between 20 October to 24 March 2018.